The Clan Macmillan traces it's origins back to the very beginning of modern Scottish history, when the traditional tribal societies of the Gaelic speaking Celts were being supplanted by the conquering Normans from the south. The Clan has been traced back to King MacBeth, the last of the Celtic kings, who reigned for seventeen years. Malcolm Can More's son Alexander I (reigned 1107-1124) appointed the Culdee clergymen Cormac, a great-great-grandson of MacBeth, as the first diocesian Bishop of Dunkeld. It is from this Cormac that Macmillans descend. Through Cormac, Macmillans may claim both royal and Celtic Spiritual heritage. The third son of Cormac, Bishop of Dunkeld, was named "Gillie Crisosd" (Gillchrist), or "Servant of Christ". He is the true progenitor of the Macmillans. He is remembered in the Macmillan Arms, where the three "mullets azure" (blue stars) at the top of the shield are heraldic representations of both an origin in the Mormaorship of Moray, and descent from a third son of an important person of worth. The Culdees continued their allegiance to Celtic Christianity long after the Roman Catholic hierarchy had triumphed around them. One of their distinguishing marks was a tonsure (clerical haircut) known as the Tonsure of Saint John, their patron. They shaved their hair on the front of the head from ears forward, leaving the hair on the back to grow long. This "Tonsure of Saint John" or (in Gaelic) "Mhaoil-lain", was the center of a heated controversy in the 8th century. Gillie Crisosd was called "an Gillie Mhaoil lain" (Latin: "Malcolium McMolini"; Gaelic: "Mac'ille-Mhaoil-lain"). Macmillin is one of the oldest of the highland clans. 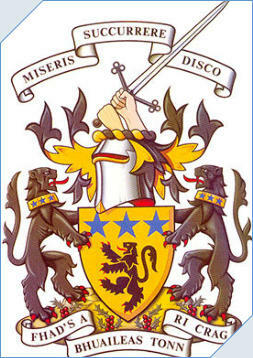 Our motto (from Virgil), "Miseris Succerrere Disco") means "I learn to succour the distressed". Clan in Gaelic means "children"; Clan Macmillan can be interpreted as "Children of the sons of the Tonsured Servant". Clan Macmillan was not allowed to remain in one area because they were removed from the land many times and placed in other areas. There are Macmillans in Knapdale, Lochaber, Galloway, and now around the world. The present Chief, George Gordon MacMillan of MacMillan lives at the Finlaystone Estate, Langbank, Scotland. The Clan Macmillan traces it's origins back to the very beginning of modern Scottish history, when the traditional tribal societies of the Gaelic speaking Celts were being supplanted by the conquering Normans from the south. The Clan has been traced back to King MacBeth, the last of the Celtic kings, who reigned for seventeen years. 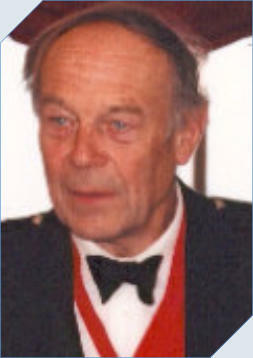 Malcolm Can More's son Alexander I (reigned 1107-1124) appointed the Culdee clergymen Cormac, a great- great-grandson of MacBeth, as the first diocesian Bishop of Dunkeld. It is from this Cormac that Macmillans descend. Through Cormac, Macmillans may claim both royal and Celtic Spiritual heritage. The third son of Cormac, Bishop of Dunkeld, was named "Gillie Crisosd" (Gillchrist), or "Servant of Christ". He is the true progenitor of the Macmillans. He is remembered in the Macmillan Arms, where the three "mullets azure" (blue stars) at the top of the shield are heraldic representations of both an origin in the Mormaorship of Moray, and descent from a third son of an important person of worth. The Culdees continued their allegiance to Celtic Christianity long after the Roman Catholic hierarchy had triumphed around them. One of their distinguishing marks was a tonsure (clerical haircut) known as the Tonsure of Saint John, their patron. They shaved their hair on the front of the head from ears forward, leaving the hair on the back to grow long. This "Tonsure of Saint John" or (in Gaelic) "Mhaoil-lain", was the center of a heated controversy in the 8th century. Gillie Crisosd was called "an Gillie Mhaoil lain" (Latin: "Malcolium McMolini"; Gaelic: "Mac'ille-Mhaoil-lain"). Macmillin is one of the oldest of the highland clans. Our motto (from Virgil), "Miseris Succerrere Disco") means "I learn to succour the distressed". Clan in Gaelic means "children"; Clan Macmillan can be interpreted as "Children of the sons of the Tonsured Servant". Clan Macmillan was not allowed to remain in one area because they were removed from the land many times and placed in other areas. There are Macmillans in Knapdale, Lochaber, Galloway, and now around the world. The present Chief, George Gordon MacMillan of MacMillan lives at the Finlaystone Estate, Langbank, Scotland.